O Lord, our most gracious Redeemer and King, dwell and reign within us, take possession of us by your Spirit, and reign where you have the right to reign, and spread your kingdom throughout the world; through Jesus Christ our Lord. Amen. Wake us from our sleep; Raise us from our coffins. Oh Christ, show us Your light. Great, your faithfulness; O God my father, O God my father. Your love it never fades, and so I’ll love you, until the end. When shadows fall you never change. From age to age, you never change. Great is your faithfulness, your faithfulness; through the years you’ve always been there. Great is your love for us, your love for us; through the years you’ll always be there. Great, your kindness God; you are our shelter, our dwelling place. Your presence like a fire; hope for tomorrow, strength for today. We will stand, we will stand upon your promises. We are strong, we are strong because our hope is in you. We will run, we will run, we will run. We belong, we belong, we belong to you. If praying this Liturgy with others, take this time to celebrate the Eucharist. Love one another, for love is of God. He who loves is born of God and knows God. He who does not love, does not know God, for God is love, God is love. 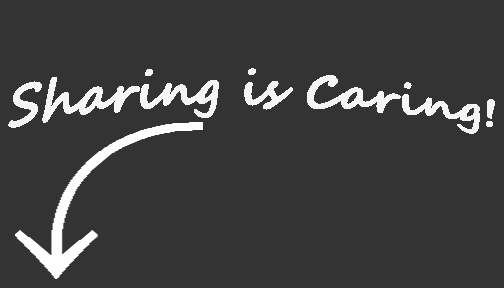 Love bears all things, Believes all things. Love Hopes all things, Endures all things. God is love, God is love, God is love. Love the Lord thy God with all thy heart, with all thy soul, all thy strength, all thy mind. Love the Lord thy God with all thy heart, for God is love, God is love, God is love. Christmas music playing on every radio station. Sermons every week on the coming birth of Jesus. "The birth of Jesus is the answer God gives to a world locked in fear and darkness!" ...I am instead surrounded with just the opposite. Friends, let us not get sucked in to the hatred, fear, and hurt that so many people are sprawling on TV, in newspapers, or on social media. Instead, remember the songs we sing. The words we preach. The Scriptures we hold so high. For the rest of 2016 will you join me in obeying the command of the King to "Pray for Peace, people everywhere!"? Perhaps, I am just naive enough to still believe that there is power when God's people come together in agreement on something. I pray that I never lose that. And perhaps, maybe, that is exactly what God is yearning for His people to do? Perhaps God has the perfect answer for the torment that is the Middle East ISIS crisis. Perhaps God knows exactly what will heal the fear that surrounds the Refugee Crisis. Perhaps... God still answers every situation with Himself. He is, the Prince of Peace, after all. We say we believe that, will you join me in praying it? He will bring us goodness and light!" This week is the last Sunday before Christmas, the wreath is all lit, awaiting the most important piece. We have all been on a journey over the last four weeks and have been preparing for Jesus. This week He is here. Advent is a word that means “coming” or “visit”. 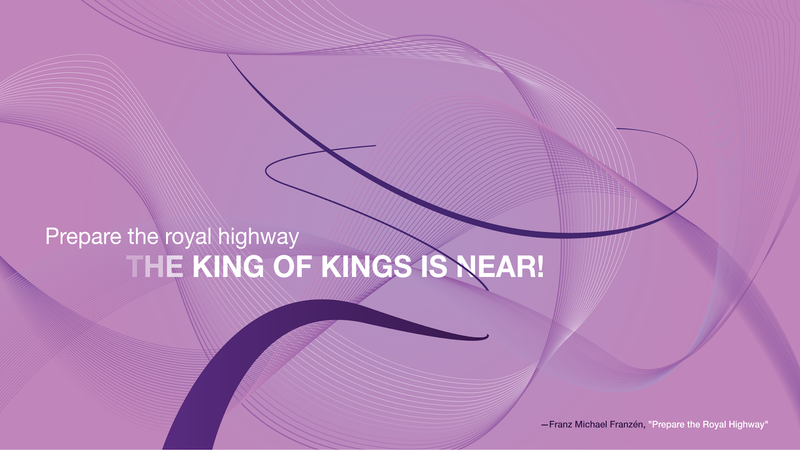 In the Christian season of Advent, we prepare for the “Coming” of Christ at Christmas while longing for His Return. 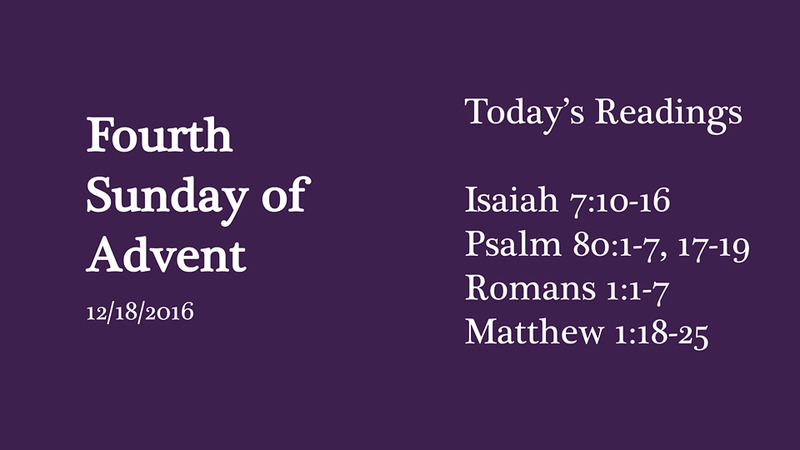 This morning, we continue to light the advent candles as we move towards Christmas and celebrate the birth of Jesus. The lights of Hope, Peace, and Joy flicker over this Advent wreath. They flicker over our lives. As we move closer and closer to Christmas with each passing day we realize that throughout history these lights have penetrated the gloom of this world. Yet, darkness is still present. None of us can deny that. Death, Gloom, Despair. We can almost hear the exhale of the earth as we cry out. The shadow of death, of hate, of Adam's Fall continues to roll over us. Everyday there is a new catastrophe. Every hour there is negativity that wafts in with every passing breeze. Our souls are dampened and weighted down with the hurt 2016 has brought. How can we be joyful when we let the reality of life settle into our minds? ...The love of “God With Us”. And let us run with perseverance the race marked out for us, fixing our eyes on Jesus,the pioneer and perfecter of faith. 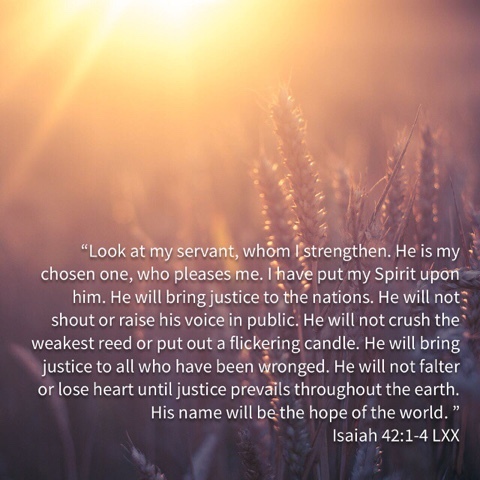 For the joy set before him he endured the cross, scorning its shame, and sat down at the right hand of the throne of God.Consider him who endured such opposition from sinners, so that you will not grow weary and lose heart. I wonder if the Father wept with joy as the greatest of Christmas gifts, His Son Jesus, was placed in a manger’s crib. God’s mighty, miraculous gifts of love are found in unsuspecting, even difficult places. Toys break; clothes shrink. But love endures. It overcomes. Life’s circumstances do not diminish it. Are you looking for love this Christmas? We are told to look in a lot of different directions, but God gives us an incomparable gift. From the Manger to the Cross to His presence with us, the Love we long for is found in Jesus. Love: This power is what gives fuel to the other themes. After all, what Hope do we have outside of the Love of God? What kind of Peace can we experience without the Love of Christ in our hearts and minds? And Joy, there is no Joy without Love. 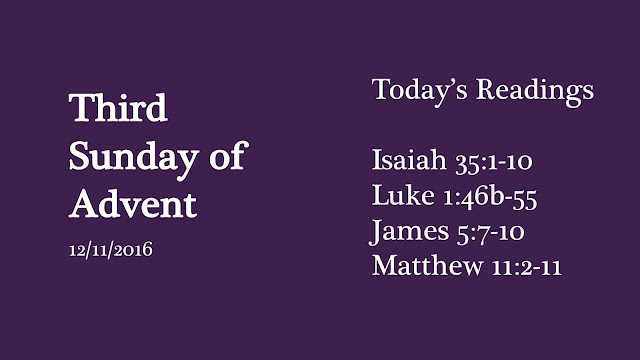 We remember that Christ demonstrated self-giving love in his ministry as our Good Shepherd. May Our Shepherd lead us evermore into His love this Christmas season. Scripture reminds us that The LORD our God is in our midst, a mighty one who will save; he will rejoice over us with gladness; he will quiet us by his love; he will exult over us with loud singing. God shows his love for us in that while we were still sinners, Christ died for us. No one has greater love than this: to lay down one's life for one's friends. This season, marked by the giving of gifts, is a time to love as God loved us by giving us his most precious gift. As God is love, we are also to love. We remember that out of darkness light shines. The true light of life whose love overcame darkness, and whose love is our light, both now and forevermore is here. Today, we light the Love candle. We may not have answers to the darkness that this world holds... but the clouds of doom will dissipate. We can trust that Jesus' coming can redeem anything that may befall us. The fog of sin cannot hold anything over us. For light has come, light is among us, light is coming again. Grasp that truth, let it pump hope into your weary heart, and let us be reminded that Joy and Peace are choices that Love gives us, even among times such as these. Thank you for the reminder this morning that above all and among everything you are, you are love. We will never fully be able to grasp the depths of your love, but it still beckons us to respond. May we respond with our whole hearts this Christmas season. May we look for your graces wherever we go. We pray this in the name of your Son, Our Savior, Jesus, Amen. Advent reading for "Gaudete Sunday" (Gow-Day-Tay). We are using the familiar Advent hymn, "Joy to the World" and it's lyrics to formulate the wonder and joy we can experience this evening and this week. 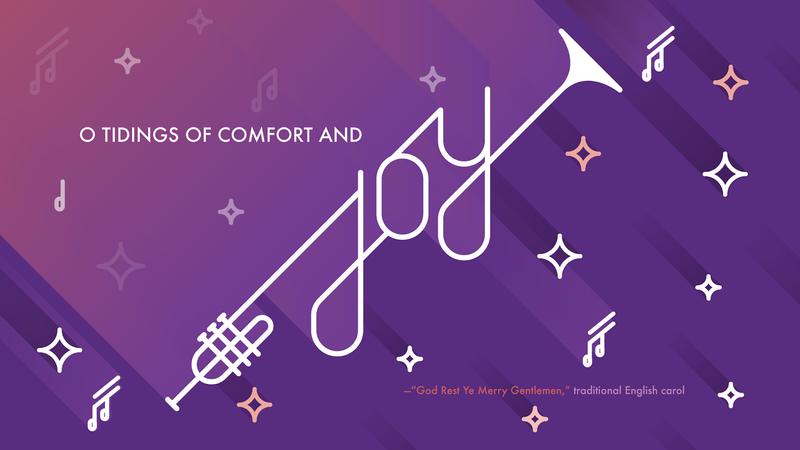 Joy to the World, a tradtional Advent hymn is one we have sung as a Christmas song since our childhood, but with little attention to what the words actually speak to. It is an Advent hymn, not a Christmas carol for this specific reason: Joy to the World was written as a celebration for Christ's Second coming, not just His first. On this third Sunday of Advent, we light the Joy candle. It is a different color because it symbolizes our mood switching away from waiting and longing and instead into a state of preparing. We know Jesus is coming, and He is coming very soon. As we think about what it meant to the people when Christ came the first time, it helps us prepare for His return. He will not come as an infant again, but as a reigning King. As Christians, we talk about Joy often, but yet we so often confuse it with a feeling. Happiness is a feeling, but Joy is always a choice. Mary and Joseph could have chosen to be frustrated and angry that there was no room for them in the inn, yet they found all that they needed in the stable. They chose to find the Joy that God offered them. The circumstances of their situation did not rob them of the joy of Christ coming. The picture of Joy in the Bible shows us that Joy is trusting when you want to doubt, like Joseph when he found out that Mary was pregnant. It is receiving when you want to reject, like Mary being so obedient to the will of God. And it is celebrating when you want to fear, like the Shepherds when the angel appeared. And so it is always a choice, The Gospel offers us that choice. This Christmas season we pray that you will not only find the Hope of Christ and the Peace of Christ, but also the joy that He continually gives. The darkness after all is beginning to fade and the true light of the world is coming. Thank you for the gift of your son to us. This Christmas season we pray that we would experience your presence in a new way, and the Joy only you give overflowing. We know that you are here, among us. Jesus, continue to guide us to yourself this season and always. In your name, Jesus we pray, Amen. 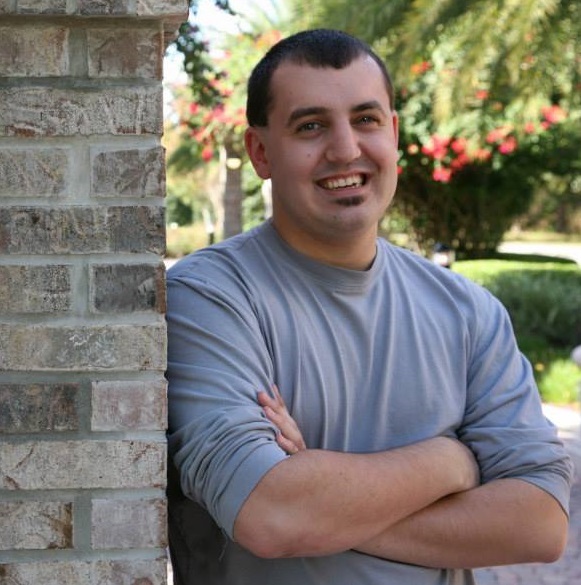 is a pastor in East Orlando, FL. As a student at Ozark Christian College in Joplin, Missouri he majored in Biblical Leadership, New Testament Studies, and Missiology. In 2014 he attended the Leadership Institute in Phoenix, AZ where he continued his education from other pastors and educators at one of the fastest growing churches in the United States. He loves the outdoors, whether it is camping in the mountains or jumping through the waves at the beach, nothing is better than enjoying God’s creation. Nathan longs for unity and commitment to Jesus to be a defining element in the global church of his generation. 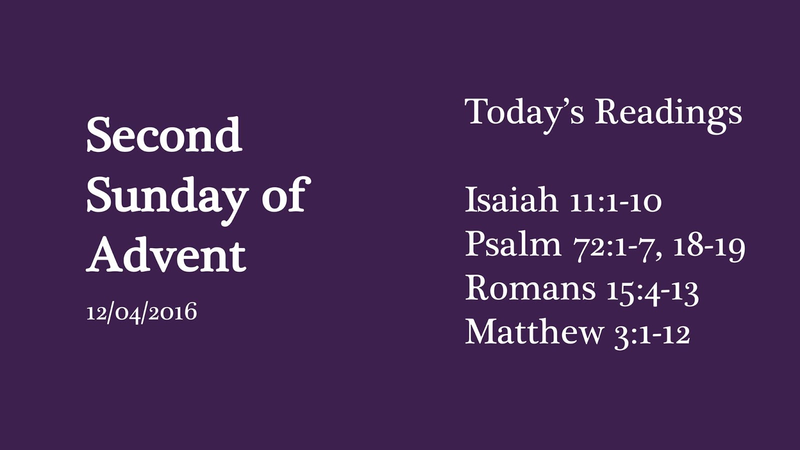 This past Sunday we read and meditated on the theme of Peace as we lit the second candle of the Advent wreath. 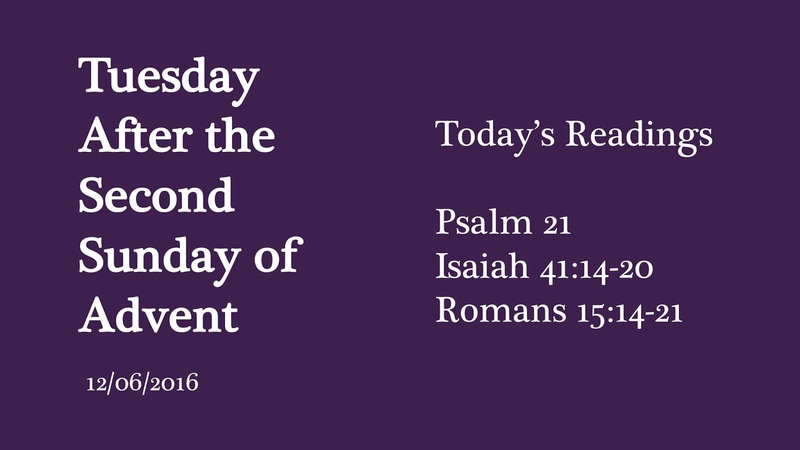 We are reminded that Jesus is the peace of the world offered to us. He provides peace to us, peace that surpasses all understanding, peace that brings us rest. 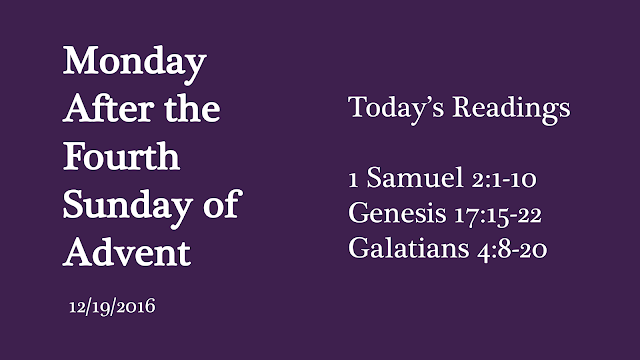 In Isaiah we read about God's people who are rebelling in many different ways. They are oppressing people, destroying relationships, and just going through the motions with their religious ceremonies. God wanted their hearts, but they weren't budging. So God promised judgment in order to grab their attention again. But even though the nation would fall away there would last a remnant. 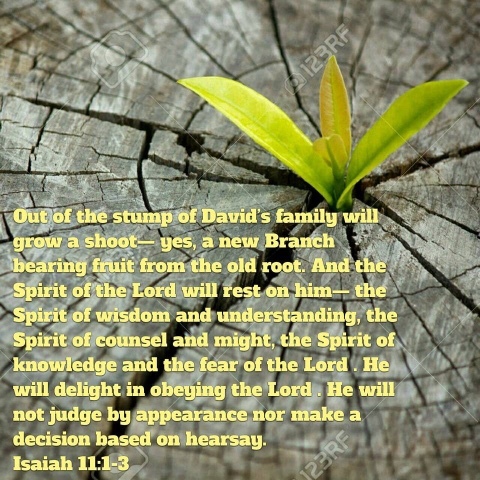 Isaiah uses the image of a tree, God's axe is sharpened and ready to hit... When he fells the tree there will only be a stump left.... But... God in His mercy will raise a new shoot from the stump and provide us with a rest and a peace that would continue for all generations. Today, think on how you can rest in Jesus. 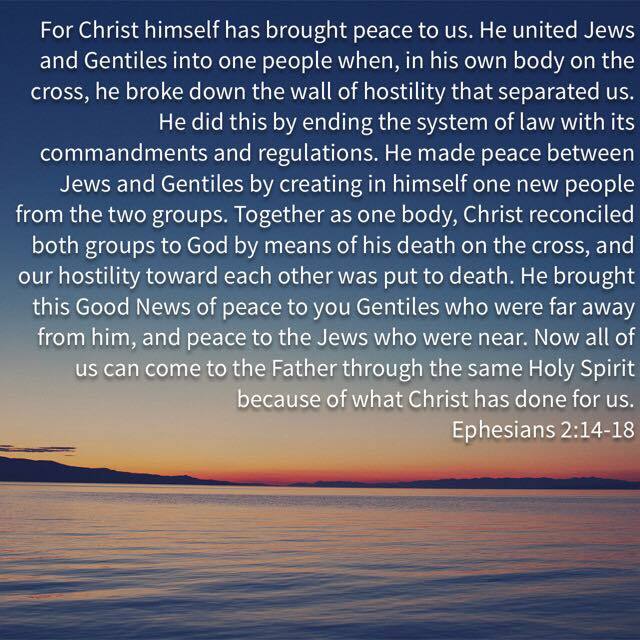 But what Jesus calls us to is Unity. Unity with each other, deep love for each other, and to take care of each other. These are the things that Jesus said would make us stand out in the world... more than that, these are things that the Global Church should be marked by. I have found that everyone loves the idea of unity... until they have to actually get dirty. We all feel that others should bend to our way of doing things, we want the least amount of compromise as possible. However, there is also something about the Christmas season that allows us to forgo some of our stubborness. This is the season where churches across denominational lines do more together than any time else. It's also a time that is noted for being a season where people can come together for common causes. I love that. It is definitely a step in the right direction in my eyes... but I want to call us to something deeper. I think the root cause of most of our divisiveness is a lack of peace. We don't have peace of mind ourselves. We lack peace in our relationships. And... we have a fear of a lack of peace with God. We have sayings like "He has to make his peace with God." The problem with that mentality is that we can't make peace with God. That's why God did it for us. He made peace with Himself, for our sake. Today, dwell on that. Remember that Peace, which even now seems so unattainable, was attained for us. Rest in that. Worship in that. Revel in the mystery of Christ unfolding before our very hearts. And... ask yourself, who can you make peace with this Christmas season? What steps can you take to make peace with a fellow Christian, friend, or people group? Be honest with yourself with who you may need to make peace with, and take a step today toward making that a reality. 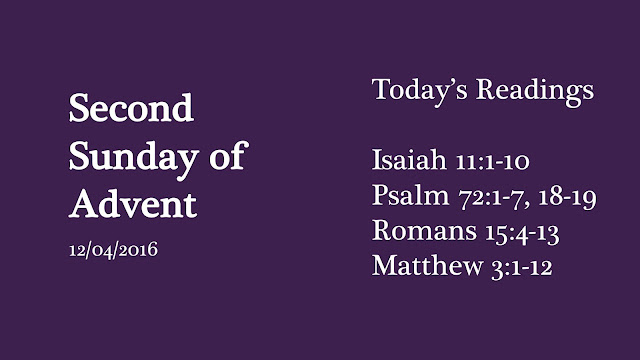 Today is the second Sunday of Advent, where we move our focus on the theme of PEACE. Peace. It is hard to even contemplate what the word means anymore. We no longer live in a world where we experience the meaning of peace. But did we ever live in such a world? The people of the Old Testament had recognized the promise of God in sending a savior. They were rooted in that hope. But Peace is what they needed. How heavy is your heart this Christmas season? In a world of chaos, shadow, hurt, disappointment, eagerness… is it even possible to contemplate what peace truly means anymore? Beyond the shopping. Beyond the rushing around. Beyond the presents and toys. Beyond the friendly gatherings. Beyond the chaos of life. There lies a child, in a manger, wrapped in swaddling clothes. He is heaven’s answer to our troubled world. He is Heaven’s blessing poured down, unfailing love, truth meeting together in a peaceful sleeping infant. This precious, innocent, infant would grow up to be our reconciler with God and humanity. Do you hear his voice? It is soft, it is easily forgotten, like the cry that cracked the silence of God for over 400 years, it is easily missed. But He speaks peace to you, right where you are. When the prophets spoke of peace, they didn’t just mean making everything calm, they were talking about peace for the whole of life. Jesus taught us the same thing. As the Prince of Peace, Jesus came to put everything right. He came to help us love one another and accept one another, even when we are very different or even disagree with each other. He came to include the poor, the lonely the unusual and rejected. He came to bring peace between one another. He came to show us that God forgives us for all the wrong things we do and that we can be at peace with God. 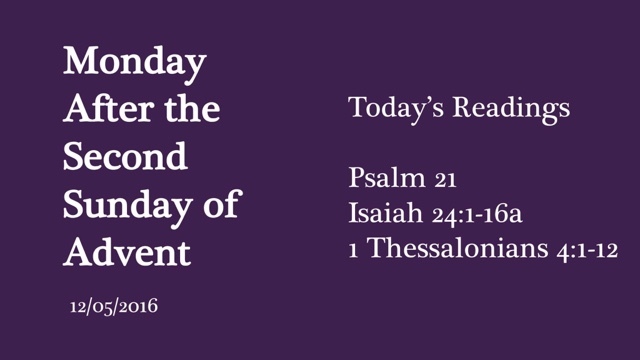 The Advent Candle today represents Peace. Just as on the night when Jesus was born, peace came into the world, so today, as we invite Jesus in and live in his way, his peace can transform our fear, hurt, anger, and resentment. As we light this candle and read a Scripture, think about who you may need to make peace with. Lord, in distress we searched for you. Jesus, your Son, our Advocate of peace, the Elegant Champion of reconciliation, Your victories echo harmoniously. You teach us the way towards peace, help us as we carry the torch of peace to our homes, our workplaces, our neighborhoods that it may reside within our hearts and radiate in our surroundings. Through the grace of Your power, transform the world into a Heaven. You are the only hope of mankind. In our world this day Give peace, we pray. Because there is no one else who will fight for us If not You, our God.